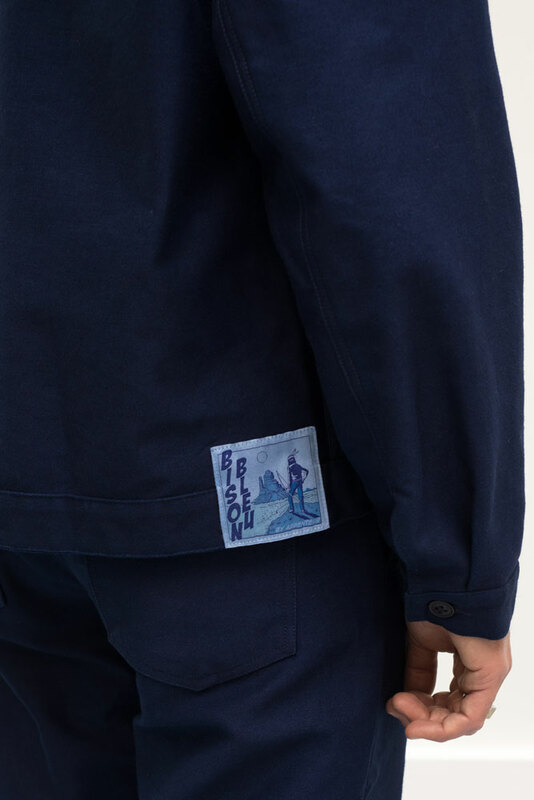 The EDDIE jacket has a short and straight cut, similar to a 1950s denim jacket. 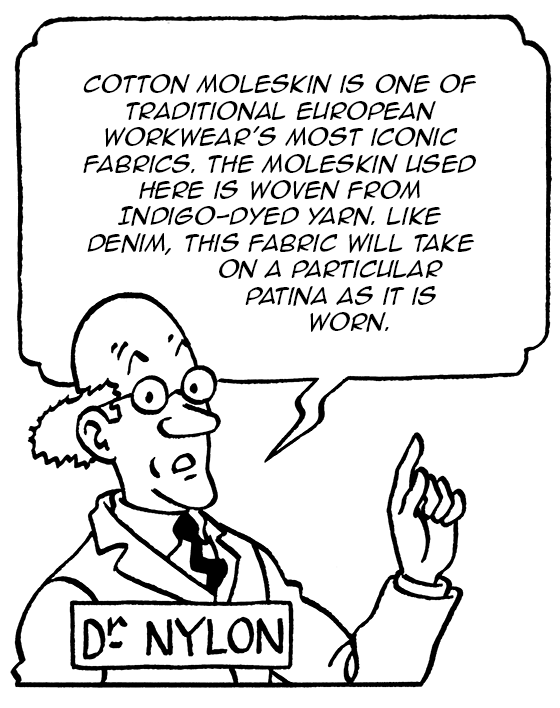 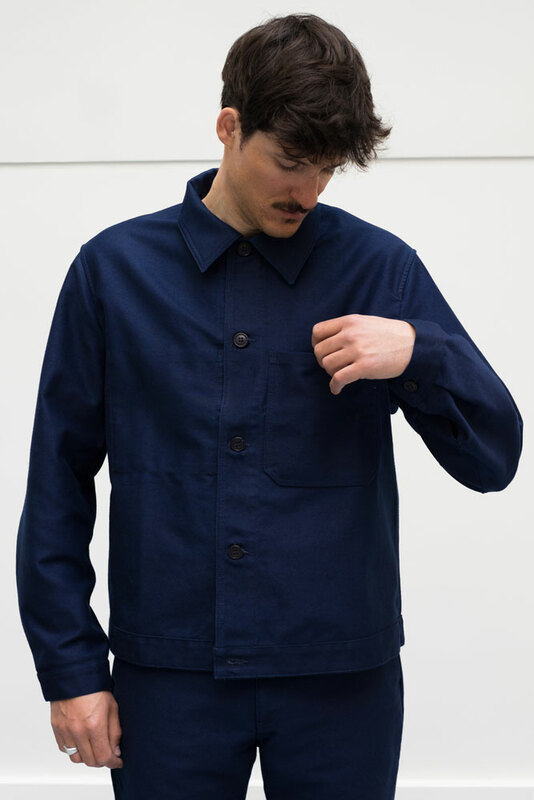 However, its construction and finishing are typical of traditional French workwear. 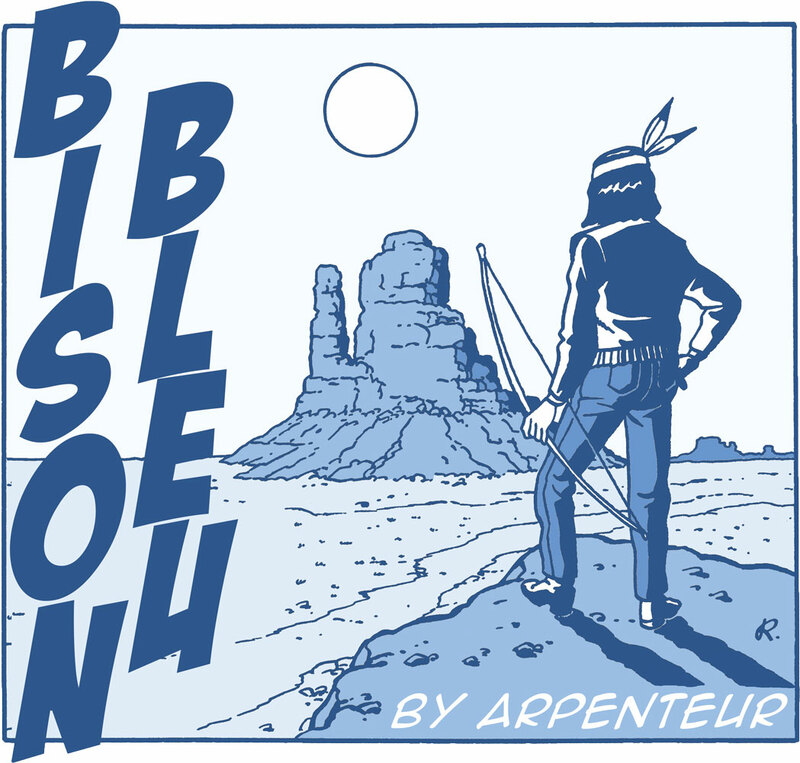 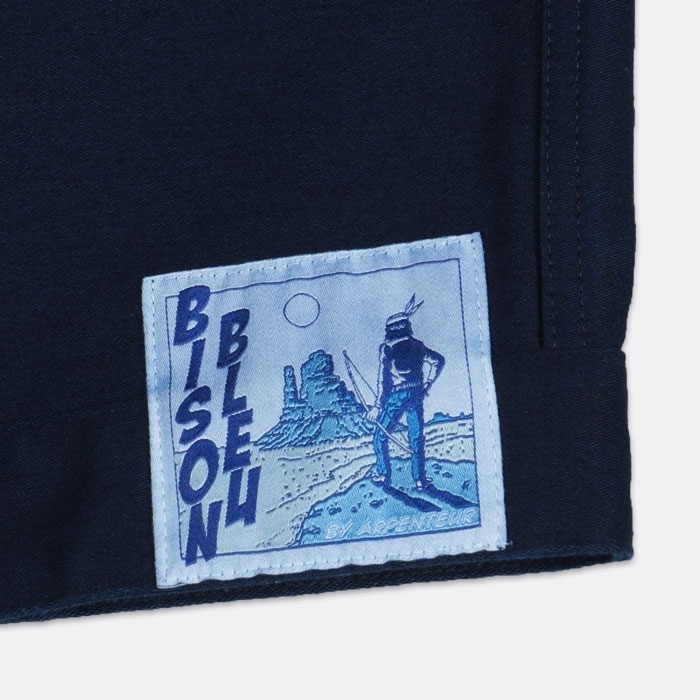 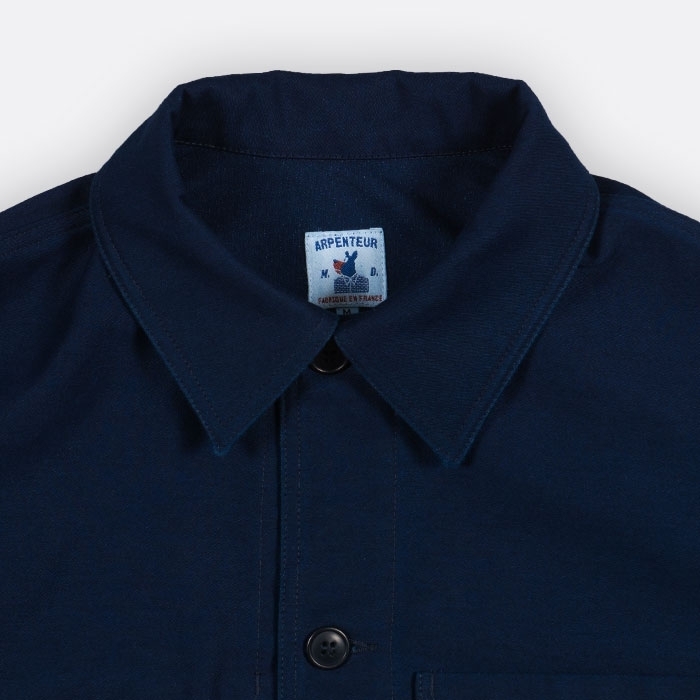 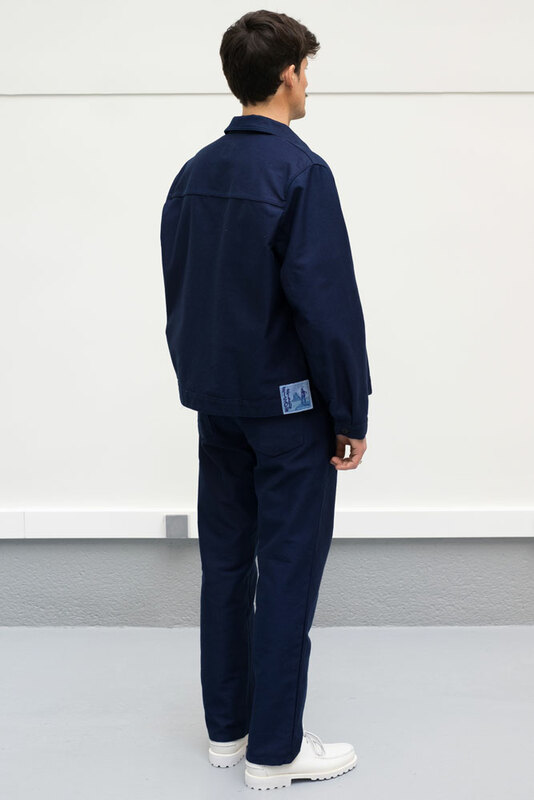 The Bison Bleu range combines inspiration from American denim clothing with typical French workwear construction. 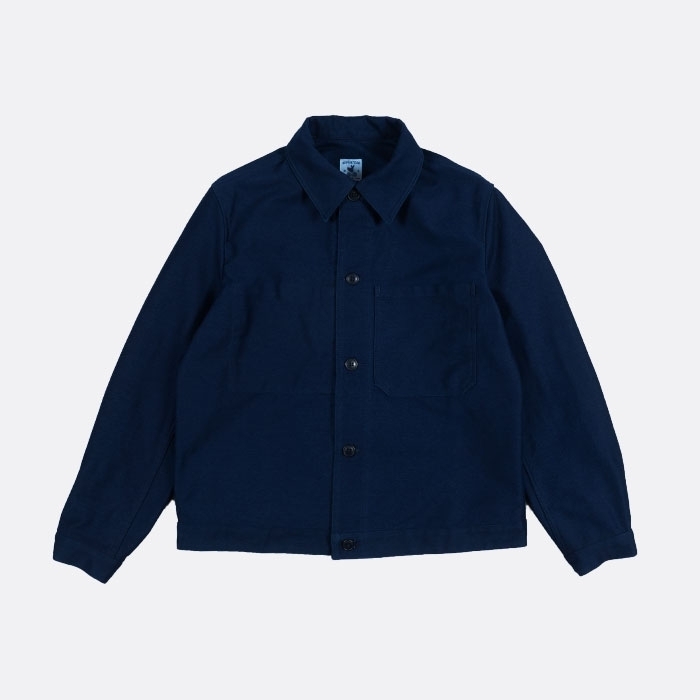 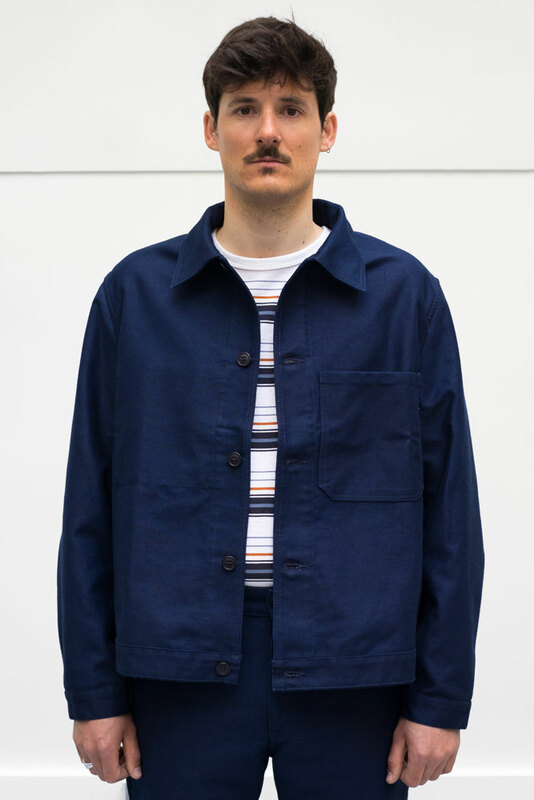 All items from this range are made of Indigo-dyed moleskin.